Hello lovelies! It is less than 10 days until Christmas!! There is something about the days being in single figures that makes it even more EXCITING!! Today’s post is another yummy one, oh I do loveeeee a yummy post! As you can probably guess from the above photo and title today’s post is about the delicious festive hot chocolates that Costa have on offer! 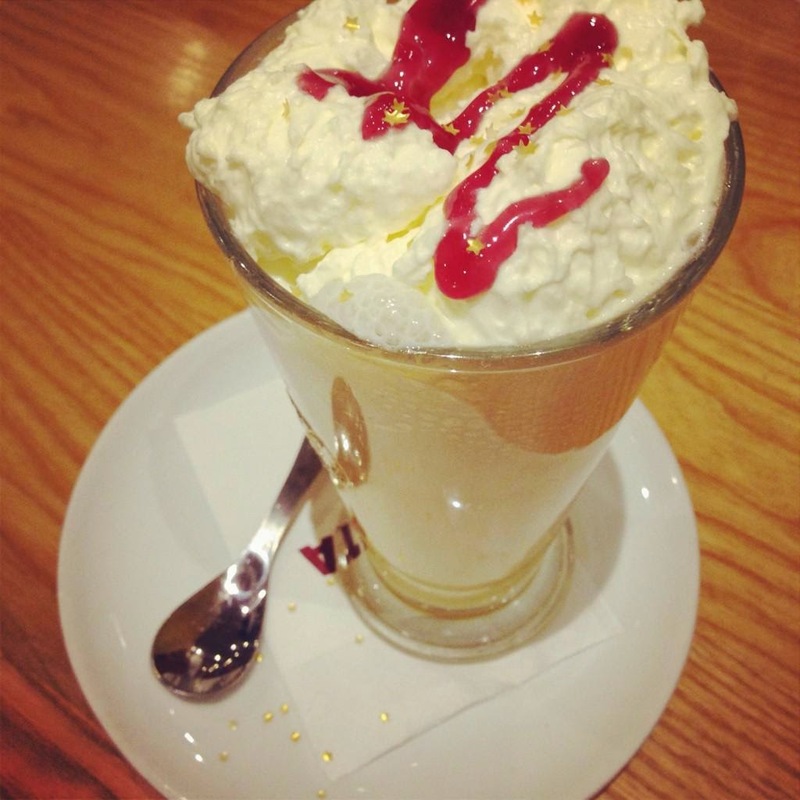 I am usually a Starbucks kind of girl but Costa have definitely won me over with their festive selection! Sorry Starbucks……. 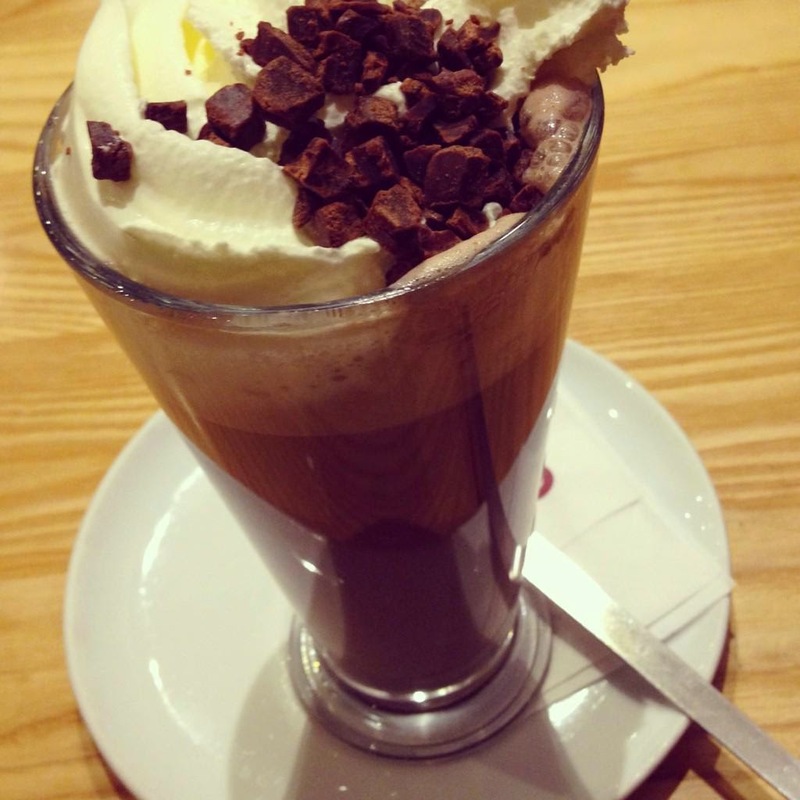 I absolutely ADORE these hot chocolates at the moment! I am going to be so sad when they leave the menu, they are SO delicious. My favourite is the above one, the Orange hot chocolate. It is gorgeous, I do love a good chocolate orange combo though! It is sparkly and creamy and chocolatey and orangey and it is soooo good. 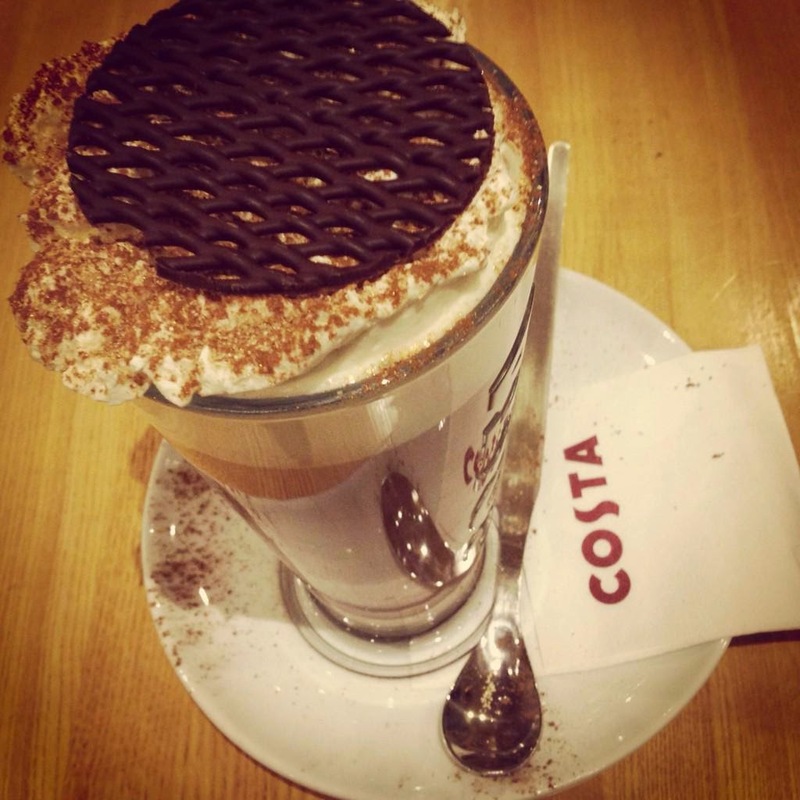 The best touch is that amazing chocolate lattice on the top which melts into the drink mmmmm!! This one is really yummy, think it has a shot of walnut or something in it, it really does taste like brownies! The little brownie pieces on top are lovely too! However I think this is my least favourite, not because I didn’t like it, just I like the others more! This one felt the most sickly for me, probably because it is very chocolatey! There is also a Black Forest one, with black currant and cherry, but I wasn’t sure if I would like this one…. Has anyone tried it? Is it nice? I haven't tried any! They all look so delicious though so I really must try to! I think I may be addicted to the Orange Hot Chocolate one, its just divine! Omg!! I need to try these out pronto!!! i have just tried gingerbread latte. Yuuum. We don't have a costas around here, but I love going to one of my local cafes called Coco Monde and having a hazelnut hot chocolate!